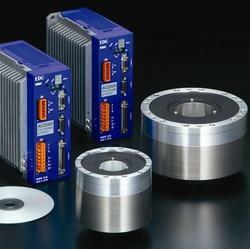 NSK Megatorque Motor is offered to our clients which provides high-speed, high-resolution capabilities. Delivering unprecedented performance, the PS Series achieves a maximum rotational speed up to 10 revolutions per second. 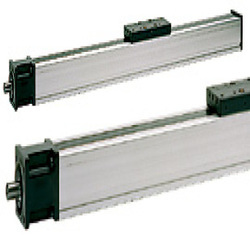 We are dealer and supplier Mono Carrier Linear Guides. Lightweight, compact linear actuators in a variety of sizes make this linear actuator useful in various applications including factory automation applications. Rolling bearings result in lower friction and longer life. Optional components for MCM Series: Sensor Units Sensor Rails Cover Units Combining Brackets Motor Brackets / Motor Adapters Premium anti-corrosion coating Food-grade Self Lubricating K1 Unit. We are offering wide range of Linear Guides for Tyre Industry. NSK Linear Guide for VMC manufactured by jyoti LTD. Above Linear Guide Are used in Y axies of VMC model No 1050 . It is Incresed the lifeof VMC. NSK Linear Guide for VMC manufactured by jyoti LTD. Above Linear Guide Are used in X axies of VMC model No 1050 . It is Incresed the lifeof VMC. NSK Linear Guide for VMC manufactured by jyoti LTD. Above Linear Guide Are used in Y axies of VMC model No 430 . It is Incresed the lifeof VMC. NSK Linear Guide for VMC manufactured by jyoti LTD. 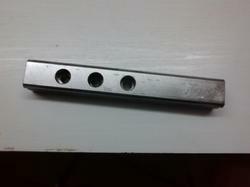 Above Linear Guide Are used in X axies of VMC model No 430 . It is Incresed the lifeof VMC. NSK Linear Guide for VMC manufactured by jyoti LTD. 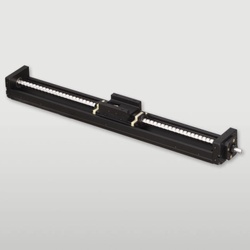 Above Linear Guide Are used in Y axies of VMC model No 640 . It is Incresed the lifeof VMC. NSK Linear Guide for VMC manufactured by jyoti LTD. 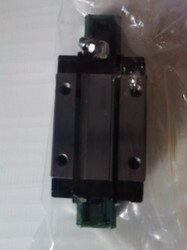 Above Linear Guide Are used in X axies of VMC model No 640 . It is Incresed the lifeof VMC. We are counted amongst the leading names in the industry, engaged in offering a wide range of NSK Monocarrier. These are offered with an all-in-one structure integrating a ball screw, linear guide, and support bearing. Offered products are acknowledged for long-life, maintenance-free operation and durable working. Moreover, it can be availed at industry leading prices. We provide our clients Megatorque Motor which are manufactured as per industry standard. 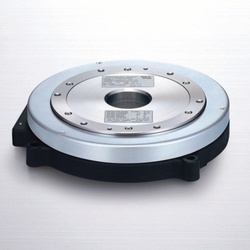 NSK has developed a low profile Megatorque Motor with the performance advantages of the PS Series. The new PN Series offers an ultra-thin design with a height as small as 35 mm. We are one of the renowned names in industry, involved in providing an exclusive range of Linear Guides. These offers improved sealing performance to extend product life in environments where product is exposed to small particles and requires protection against the entry of fine contaminates. This ball guide is suitable for woodworking, buff polishers, laser cutting, machine tool equipment and other factory automation applications. End Support Round Rail Linear Guide System features the new patented Super Smart Ball Bushing Bearings with up to 216X the life or 6X the load capacity of conventional bearings, all with increased life within the same envelope. The Round Rail Advantage, the inherent self-aligning-in-all-directions design of the Super Smart Ball Bushing bearing, allows for ultra smooth travel when mounted to wider tolerance prepared surfaces. Continuous Support Round Rail Linear Guide System features the new patented Super Smart Ball Bushing bearings with up to 216X the life and 6X the load capacity of conventional bearings. With the Round Rail Advantage, the inherent self-aligning-in-all-directions design of the Super Smart Bushing bearings, allows for ultra smooth travel when mounted to wider tolerance prepared surfaces. Emulsifiers and Homogenizer. Designed for homogenization, emulsification and dispersion and mixing of fluids at high speed. 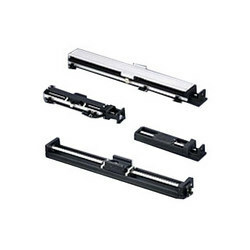 Being the leading names in industry we are involved in offering a wide range of Linear Guides. These offers a low profile design with high levels of rigidity. The rail and ball slide are interchangeable for random matching and customization. 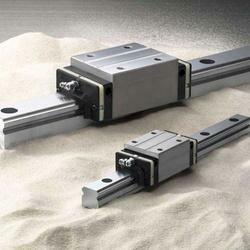 The linear guide achieves smooth linear motion with high moment rigidity. Moreover, we assure safe and timely delivery of our products. 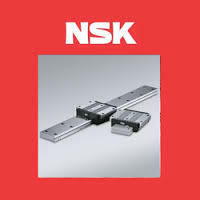 Looking for NSK Linear Guides ?